Pierre Gasly believes Red Bull teammate Max Verstappen is the “perfect reference” to have in his first season with a top Formula 1 team. Although Red Bull is convinced Gasly will be able to perform, team boss Christian Horner admitted the promotion came “faster than we would have liked”. 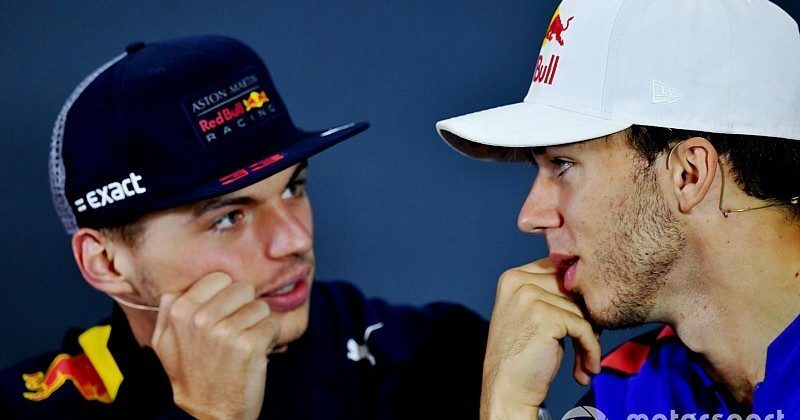 “I think Max at the moment, based on the performance he showed last year – it’s difficult, you know, to compare with Lewis [Hamilton] or Seb [Vettel] – but he’s clearly one of the best and most talented guys in the paddock at the moment,” Gasly told Motorsport.com. “So for me it’s perfect to have a reference like him. “I think I’m a quite objective guy and I know when I do things right and when I do something wrong,” he added. “And then I always learn from these kind of situations. “I always question myself about what can I do better to improve myself as a driver, to make the best of the package I have. “And then after I believe that I have good speed, I’m able to extract everything over one lap, which is important in qualifying.